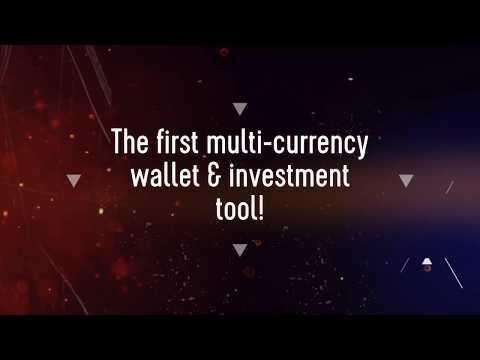 DAWQ is a cross-platform (Windows, Mac, Linux, Android, iOS) multi-currency crypto wallet that supports Bitcoin, Ethereum, as well as other altcoins and tokens. With this wallet, we round the decimals down on every transaction you make. For example, if you deposit 1.01 Ethereum in your DAWQ wallet, we will keep a percentage that goes into a pool/bank, most likely 0.01 ETH in this case. Like if you receive 0.3521 BTC in your DAWQ wallet, we will take 0.0021 BTC and add it to the pool. And we do this to every user of the DAWQ wallet - that, keep in mind, can hold any coin or token. This pool of crypto change - as we call them - is used by our Trading bots to buy crypto currencies at the best moment possible. We use AI to figure out patterns in search trends, keywords, twitter mentions, slack groups, etc. Our trading bots will then diversify the whole pool of crypto change into smart investments: coins relatively unknown, with low market cap, in few exchanges, and with strong buy signals detected by Technical Analysis. The timing of return of investments can be chosen by each individual that has a DAWQ wallet, although longer periods have higher chances of ROI: x10, x20, x100 or even x1000. One can also decide how risky should his penny investments be: aggressive or safe. In the end of each cycle - week, month, year, determined by each user - the revenue will enter the DAWQ wallet again and it will have an atomic swap option (to exchange to BTC, ETH or other coins) or the chance to keep them in a vault, in the hope that its value will rise even more. However, funds will never be time locked and will always be accessible. In the event of a market loss, users should keep in mind they only lose small amounts of crypto currency. We aim at coins that are cheap and with huge potential - providing then for huge gains and small losses. DAWQ is a cross-platform (Windows, Mac, Linux, Android, iOS) multi-currency crypto wallet that supports Bitcoin, Ethereum, as well as other altcoins and tokens. With this wallet, we round the decimals down on every transaction you make. For example, if you deposit 1.01 Ethereum in your DAWQ wallet, we will keep a percentage that goes into a pool/bank, most likely 0.01 ETH in this case. Like if you receive 0.3521 BTC in your DAWQ wallet, we will take 0.0021 BTC and add it to the pool. And we do this to every user of the DAWQ wallet - that, keep in mind, can hold any coin or token. This pool of crypto change - as we call them - is used by our Trading bots to buy crypto currencies at the best moment possible. We use AI to figure out patterns in search trends, keywords, twitter mentions, slack groups, etc. Our trading bots will then diversify the whole pool of crypto change into smart investments: coins relatively unknown, with low market cap, in few exchanges, and with strong buy signals detected by Technical Analysis. The timing of return of investments can be chosen by each individual that has a DAWQ wallet, although longer periods have higher chances of ROI: x10, x20, x100 or even x1000. One can also decide how risky should his penny investments be: aggressive or safe. In the end of each cycle - week, month, year, determined by each user - the revenue will enter the DAWQ wallet again and it will have an atomic swap option (to exchange to BTC, ETH or other coins) or the chance to keep them in a vault, in the hope that its value will rise even more. However, funds will never be time locked and will always be accessible. In the event of a market loss, users should keep in mind they only lose small amounts of crypto currency. We aim at coins that are cheap and with huge potential - providing then for huge gains and small losses. There are several things wrong with this. 1 person for a "team" and no advisors, needs to rewrite, and also needs to review compliance and regulations. One of my first reviews on ICOBench to test the review process. With no surprise this project seems dead! One good point : It give me the opportunity to do a review!